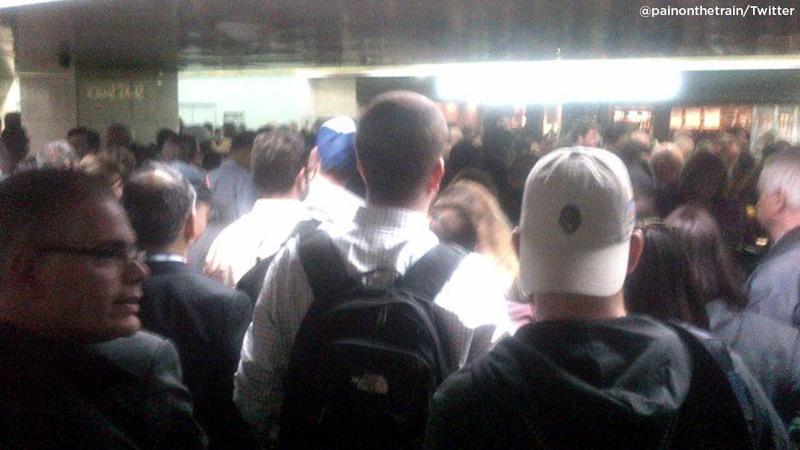 MIDTOWN, Manhattan (WABC) -- A man fell onto the tracks at Penn Station, causing a series of delays and cancellations for LIRR service Friday afternoon. Officials said the man fell onto track 18 at about 2:50 p.m. after apparently suffering a medical condition. * The 4:36PM train from Port Washington due Penn at 5:20PM is canceled due to police activity related to a customer in need of medical assistance. Customers will be accommodated by the 5:00PM train from Port Washington due Penn at 5:47PM, making all combined stops. * The 3:18PM train from Penn due Port Washington at 4:03PM is canceled due to police activity related to a customer in need of medical assistance. * The 2:56PM train from Penn due Long Beach at 3:48PM is operating 15 minutes late due to an earlier customer in need of medical assistance. * The 3:07PM train from Penn due Ronkonkoma at 4:25PM is canceled due to fire department activity at Penn. Customers will be accommodated the 3:14PM train from Penn due Ronkonkoma at 4:34PM.